St. Gabriel’s Parish in Saddle River, NJ, donated altar server cassocks for a few of our young boys. 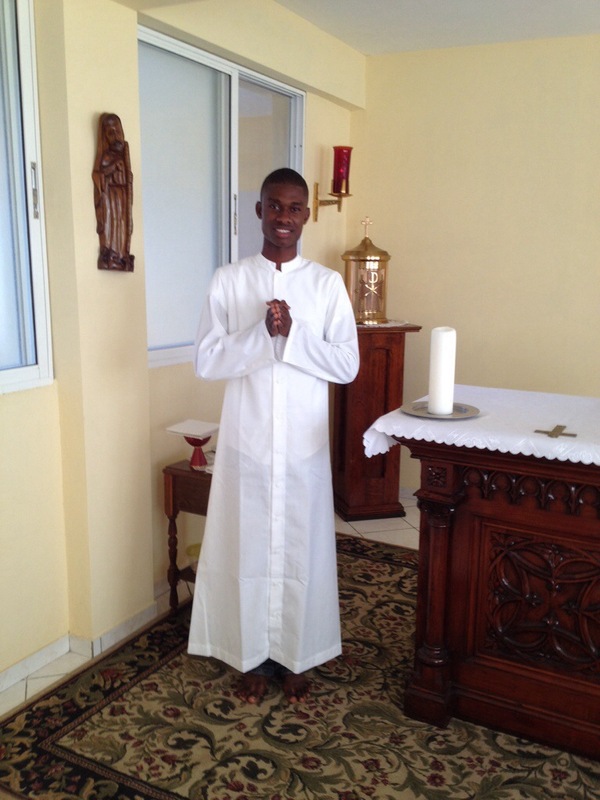 In Haiti, altar servers need to buy their own cassocks. 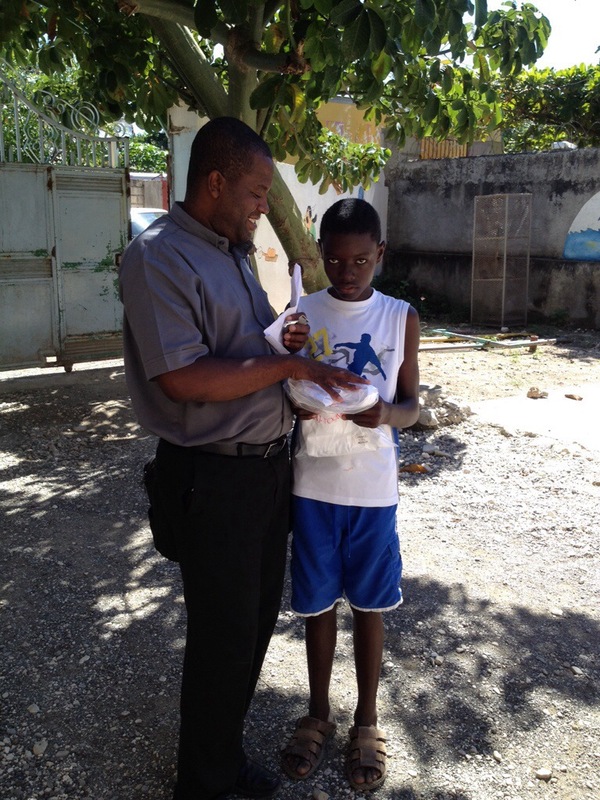 Our boys were delighted and right away asked Father to bless them. Both of the guys pictured here are thinking about becoming priests. The journey to become a priest here is very difficult because the young men come from very poor families that are not able to pay for their studies and books. This year our Bishop is looking for people to sponsor our young seminarians. Please pray for them and help support them if you can. Thank you again, St. Gabriel’s, for the cassocks. The boys promised to pray for you.